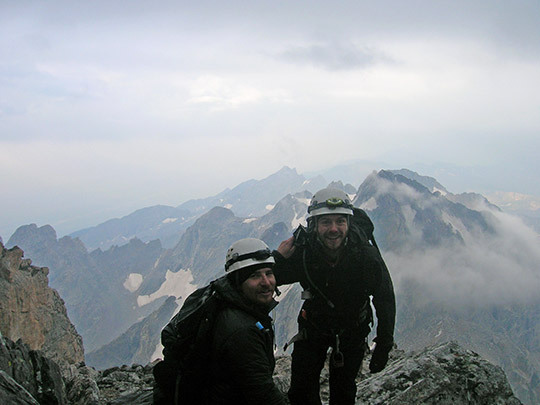 Did you know?LOWA has a team of Field Ambassadors ~ hikers, climbers, high altitude adventurers... Real people with some really interesting stories! They found us because they had already found our shoes. 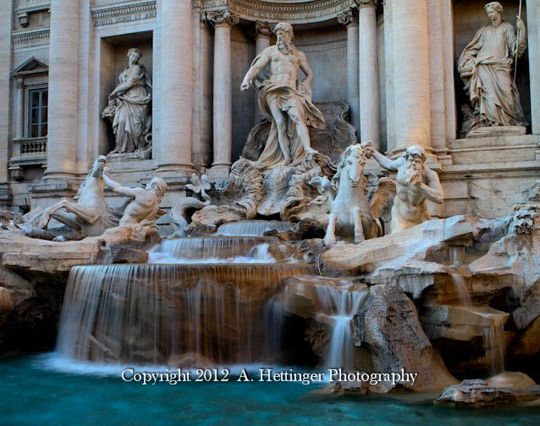 Our footwear has taken them to some amazing places. And, they can take you there, too. Through their writings, videos and photography. Or, joining them on a guided trip. Check out some of the unique offerings from the LOWA Field Ambassadors. A chilling story of friendship and survival written by Jim Davidson.The perfect stocking stuffer for man's best friend ~ with trail difficulty ranked from 1-4 paws. 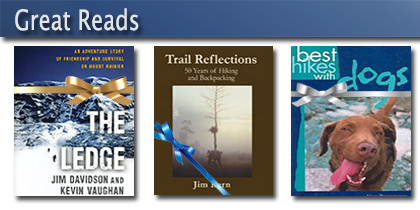 Written by Lisa Densmore.Also recommended: Reflections on 50 years of Backpacking written by, Jim Kern, an outdoor enthusiast we admire. I absolutely love Lowas! They are my favorite thing in the universe and I wear them with everything... 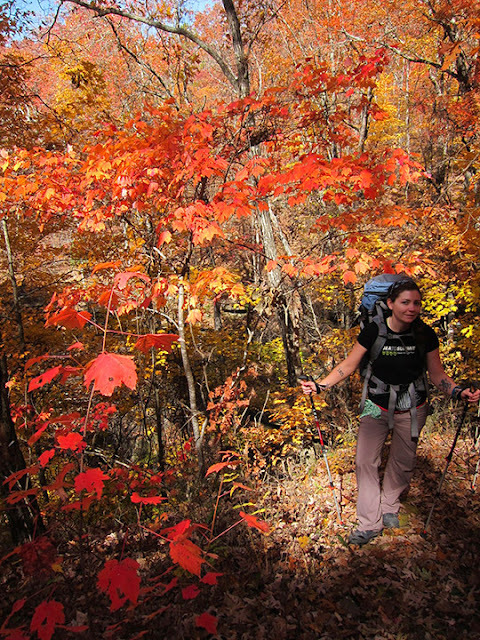 Here is a photo of their first backpacking trip this past weekend! This was a great day for trekking in the German Alps. Six of us left Jetzendorf, Germany ~ home to LOWA Boots ~ for the one hour drive to Aschau where the LOWA/Garmin Kampenwand Test Center. Free Demo Centers are a long-standing tradition with LOWA. Visit a Demo Center, get fitted in a great pair of LOWA Boots, grab a pair of Leki Hiking poles, to help keep your footing on the steep mountain paths, then hit the trails to see for yourself what LOWA's legendary comfort and fit is all about. Our group consisted of Tudor from LOWA Germany, Andy our LOWA sales rep from the mid-Atlantic region, Charles from the Summit Hut stores in Tuscon, Arizona, Curt from Schnee’s Shoe Store in Bozeman, Montana, Kevin from Campmor Stores in New Jersey and myself, an employee at LOWA USA. For the last year I've been fundraising for Big City Mountaineers as part of their Summit For Someone program. I did a climbathon at a local climbing gym, a fundraiser at a local restaurant, as well as asking family and friends for donations. 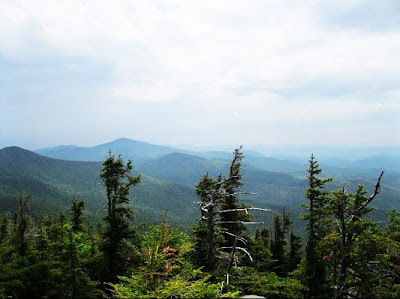 So far, I have raised over $3,500 for Big City Mountaineers, a group that introduces the great outdoors to at risk kids, living in urban areas. There were 6 people in total from all over the US who signed up for this particular climb, in the Grand Tetons of Wyoming. We started hiking into high camp (which is around 11,000 ft) on August 18th at around 10am. And took a nice leisurely pace. We spent the next day rock climbing on the towers around high camp and getting used to the altitude since it was such a big change. Most of us came from near sea level. On Monday, August 20th, we woke up at 2 am and started hiking around 3 am. When we hit 13,000 ft a snow/hail storm came upon us, making the climbing very tricky and cold. 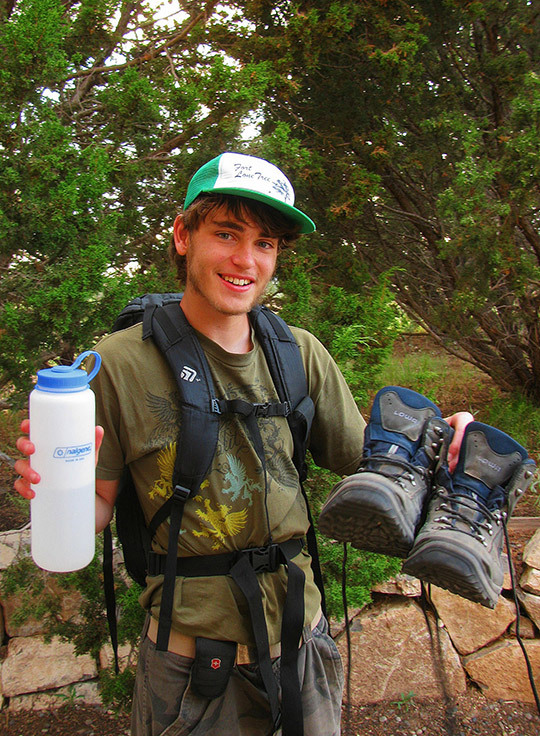 I'm soooo proud of my 15 year old son ~ for completing a round trip 20 mile hike of the famous La Luz Trail on the west face of the Sandia Mountains of New Mexico. 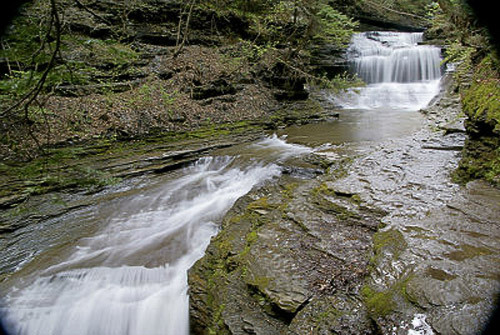 The hike is strenuous, with 3,775 ft of elevation gain and a grade of 12% and travels through 4 climatic zones. La Luz begins at 7,050ft and ends at Sandia Crest above 10,678ft. I hiked this trail over 17 years ago. It was a memorable experience in my life and an accomplishment I'm very proud of. And now my son, Jackson, has followed in my own footsteps and I am so proud of him!!!!!!!! 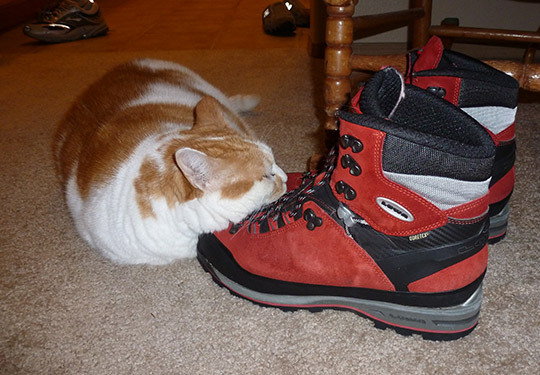 My cat Jimmy loves my Lowa Mountain Expert GTX boots as much as I do! 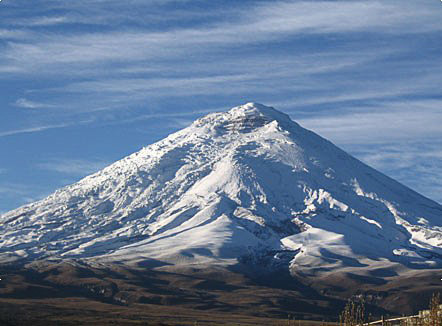 This January, I went on a third expedition in my Lowa mountaineering boots, visiting the volcanoes of Ecuador. In the town of Machachi, we hitched a ride in an onion truck and shared the New Years Eve festival with some of the young residents. High above the valley floor, we successfully climbed four volcanoes ranging from 15,708 feet (Corazon) to 20,702 feet (Chimborazo). Our favorite was Cayambe (18,993 feet), partially because of its remote nature, but mostly because of the spectacular glacier that straddles the Equator itself. In the fog, we scouted the approach to the glacier the evening before. After two hours of sleep, we roped up and crossed the imaginary equator line on the glacier sometime around midnight. We made the top early enough to see the long shadow of the mountain, stretching across the jungle far below. They are the best and I thank you.... They have made the best times of my life comfortable and confident on all terrains! 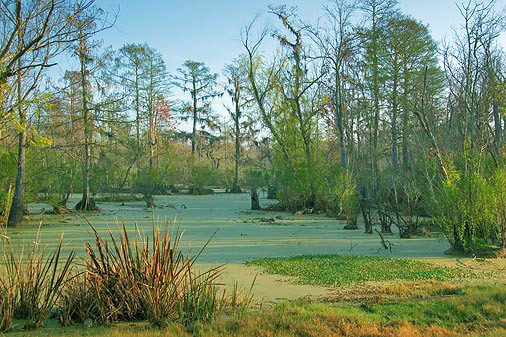 I was issued a pair of your Zephyr GTX hiking shoes at Fort Polk, Louisiana almost three years ago. They are are on my feet right now as I write this from Afghanistan. These shoes have spent a year in the worst swamps in Louisiana, I have hiked up mountains in Alaska with them, and at month six in Afghanistan they are showing no sign of wearing out anytime soon. They are the sturdiest and most comfortable shoes I have ever owned. I appreciate your professionalism and high quality product. My name is Christine and I live in Australia. I am in the Australian Defence Force and I am preparing to deploy to Afghanistan. My friend highly recommended the Lowa Zephyr Desert boots so my search began. I had difficulty finding the women's version of the Zephyr so I asked a question through the Lowa website. I was directed to use the local distributor in New Zealand for assistance. John McMath of Beattie Matheson distributors, in New Zealand, was wonderful. He went above and beyond expected of someone trying to sell a pair of boots. As he did not stock the boots I needed, he went on an international search to help me. He also provided detailed and thorough feedback on the type of boot I was after and whether they are what is suitable for my particular requirements. I've been wearing Lowa Zephyr Boots for 3 years now. 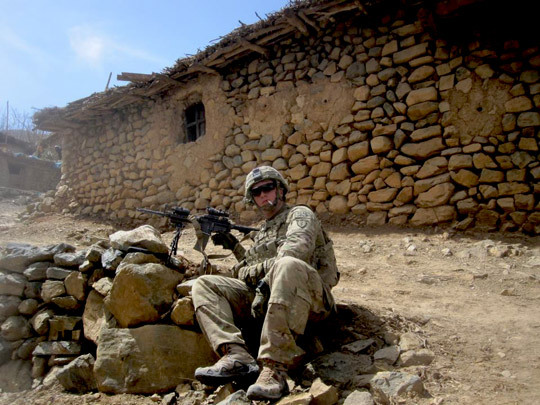 Been on long grueling hikes through the Alaskan mountains and through the mountains of Afghanistan. I have 3 pairs of them and they are all holding strong. They do not fall apart at all. 25 mile hikes and I've never gotten any blisters. This is definitely the best pair of boots I've ever come across. Some people ask how I walked 500 miles across northern Spain in 4 weeks. All I can say is, on the Camino de Santiago, my LOWA Renegades were my best friend. Each morning, I stepped out of the hostels before the crack of dawn with nothing but the sound of my boots on gravel in my ears. My LOWA boots brought me through dust and rain with hardly any blisters or pain. 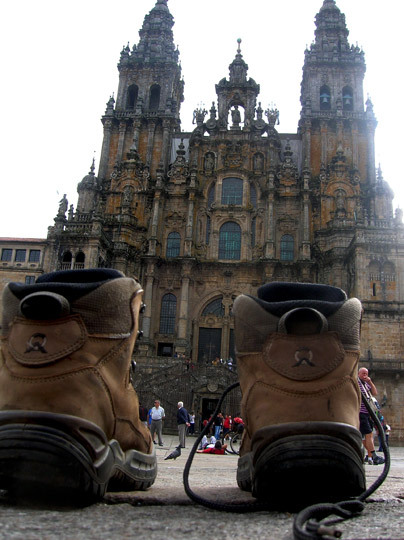 The top photo - of my boots in front of the Cathedral of Santiago de Compostela - captures the moment at which I arrive at the final destination of the entire pilgrimage. I was so thankful for my Renegades that carried me 500 miles across Spain and the best adventure of my life thus far. The Camino de Santiago was the last trip for my Lowa boots. I bought them when I was headed out as a freshman in college and am now retiring them as a graduating senior and a weathered pilgrim from the Camino de Santiago. Can't wait for my next pair! I have just completed a winter guide season here in Yellowstone Park using your Couloir GTX G3 boots and wanted to let you know what a great product they are. 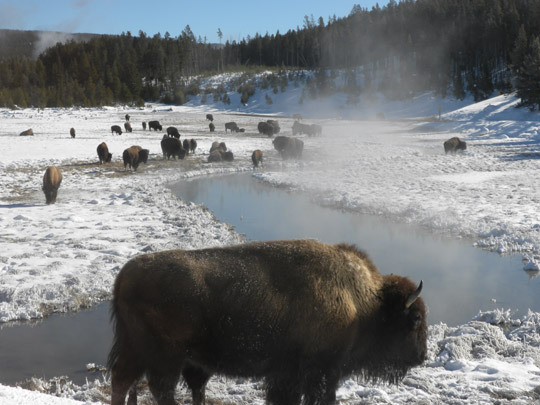 We find ourselves in and out of heated environments, in the office, guiding in the snowcoach, then interpretive walks in Yellowstone’s winter landscape. Your boots kept my feet dry (never clammy) and warm on the coldest days. The G3 sole worked great [no slipping] on the icy boardwalks in the geyser basins. 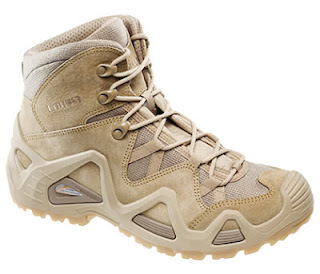 They are light for a winter boot, but are very supportive and up for our longer treks. These will be my preferred winter guide boot for years to come! When hunting abroad, weight restrictions make carrying backup gear difficult. 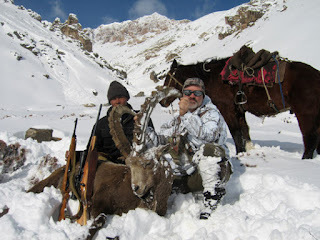 The LOWA boots that were on my feet when I left Idaho to hunt Ibex in the Tian Shan mountains of Kyrgyzstan were the same boots I wore to 16,000 feet and sub-zero temperatures on this expedition. Three years and two pair of boot laces later, the same boots were on my feet as I crawled into a cave after a wounded javelina in the arid Sonoran desert of Mexico. No backups. That's why I always wear Lowa boots.